The Importance of Nutrition in your Exercise Goals should not be under-estimated. With these Diet tips your Weight Training and Weight Loss results will accelerate much faster. As I said earlier that anyone can exercise but not many can eat accordingly to see REAL results. Essentially both in the gym and outside all you are doing is destruction. Yes both Weight Training and Aerobics destroy your muscle and Fat stores. You lose glycogen stores, muscle protein and fat. To compensate for your gym efforts you need to eat adequate amounts of quality carbohydrates, proteins and essential fats. Many people ignore diet when they start exercising or eat less and low quality foods. No wonder half the exercisers are empty on fuel and low on muscle building, fat burning raw materials! But I am sure you are not one of those, at least from today. These diet tips will help you build lean muscle, lose that ugly spare tire of fat and give you high energy all day long. In addition to the Top 10 Diet and Nutrition Tips below I have written full-fledged articles on both Muscle Building Nutrition and Weight Loss Nutrition. Please make sure you read them as well. Myths about Eating - Dare you say that you are still confused! In this article I will clear the myths associated with eating, eating and exercising and give you a list of best Muscle building and Fat burning foods. Determining your Caloric Requirement; correctly I mean! This fact is dealt with in great detail in the Weight Loss Diet and Muscle Building Diet Section. Food Planning is an art which you will soon discover. Remember failing to plan is planning to fail. A list of sample menu plans with caloric levels. 1200, 1500 and 1800 caloric diets to lose weight. 2500, 3000 and 3500 calorie diets to build muscle mass. 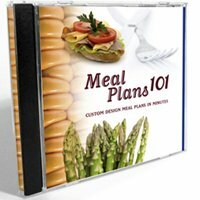 How to create Meal Plans on the fly! I used to get bored all the time planning my meals. Yes with my passion and intensity sometimes things get a little boring. I tried the Meal Planner and I was astounded. Try for yourself. Click here to create your Meals now! In order to keep a lean and fit body, the amount of calories that you take in must be equal to what your body needs for daily use. There is an imbalance, like if you take more than you need, you will develop body fat, and if you do eat less than you need it is also dangerous to your health. 1. Drink enough water: one of the reasons that people put on weight is that they do not drink enough water. Water helps to carry nutrients through the body, but it also helps to eliminate waste. It has been proven that drinking a glass of water before meals reduces the amount of food eaten which in turn keeps the calorie intake low. 2. Eat a balanced meal with all the major food groups represented in their right proportions. Make sure that you have a stock of fresh vegetables of all sorts for variety. 3. Keep high calorie and high fat snacks to a minimum. Have some fruits or nuts for snacks if you must have something. 4. Do not keep yourself hungry before you eat. Snack regularly on some healthy foods so that you are not kept hungry. That way you are less likely to over eat. 5. Keep the sugar low. Sugar is usually obtained from fizzy drinks and other foods high in sugar content like doughnuts and cakes must be kept to a minimum. 6. Make smart choices in the fat intake. As much as you need naturally occurring fats in appropriate quantities in meats and nuts, and naturally occurring vegetable oils, keeping away from saturated fats that is mostly found in processed foods is a healthy choice for keeping slim. 7. Every once in a while go on a fast to cleanse your body from wastes. You might choose to go on water only for a day, on fruit only for a day in order to get a total body cleansing. 8. Keep alcohol consumption low. Alcohol has a lot of calories, and it is better to plan a regulated intake so as not to overdo it. Some people have found it useful to only drink during the weekends, and to have just a glass or two. 9. One of the best ways to stay lean is to plan your meals well in advance. In this way you are less likely to depart from the plan. 10. 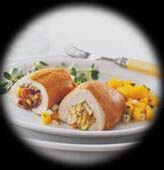 It is always better to prepare your foods at home which enable you to have better control on the contents of your food. However, though good nutrition can reduce body fat and keep a lean body, doing moderate exercises for about 15 to 20 minutes a day will keep you in optimum health. Famous recipe ebook 'Comidas Adelgazantes' and 'eTool kit' for the dieta de los puntos. Dont forget to check their Famous Diets Section. Go from Weight Training Diet and Nutrition to Weight Training Homepage.